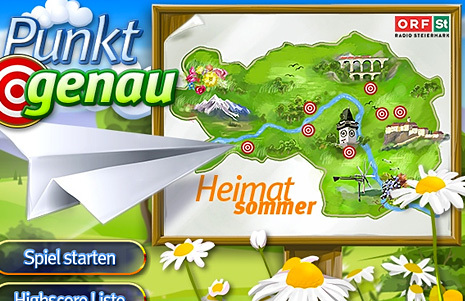 The ORF Steiermark (Austrian state television) hired us to produce 2 games for the Styria-wide promotions Heimatsommer and Klangwolke. The deadline was incredibly tight but everything was finished in time and both products were a tremendous success. You want to know more? Please contact us here!